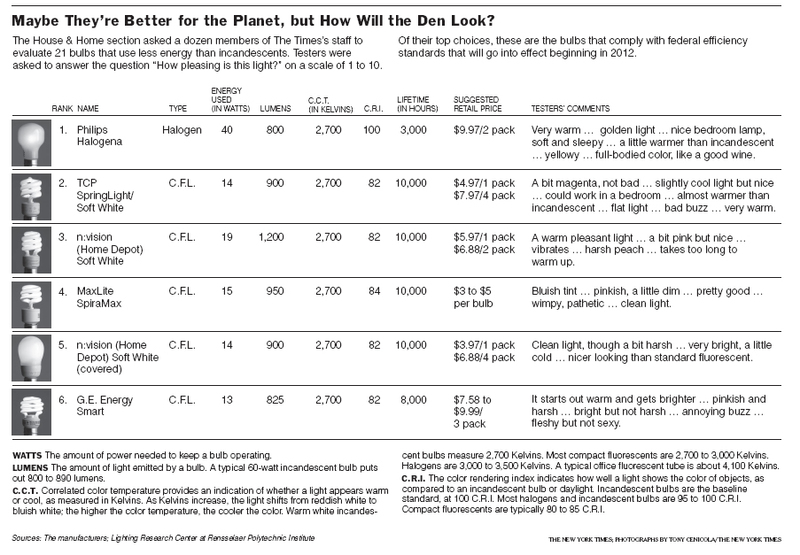 The Tracker vowed to post on a nifty story in the NYTimes's Home section on the gradual, oft-reluctant conversion by homeowners to high efficiency light bulbs. Reporter Julie Scelfo talked with an impressive number of people about their thoughts on compact fluorescents mostly, but also touches on newer, less-developed, or even more expensive bulbs. 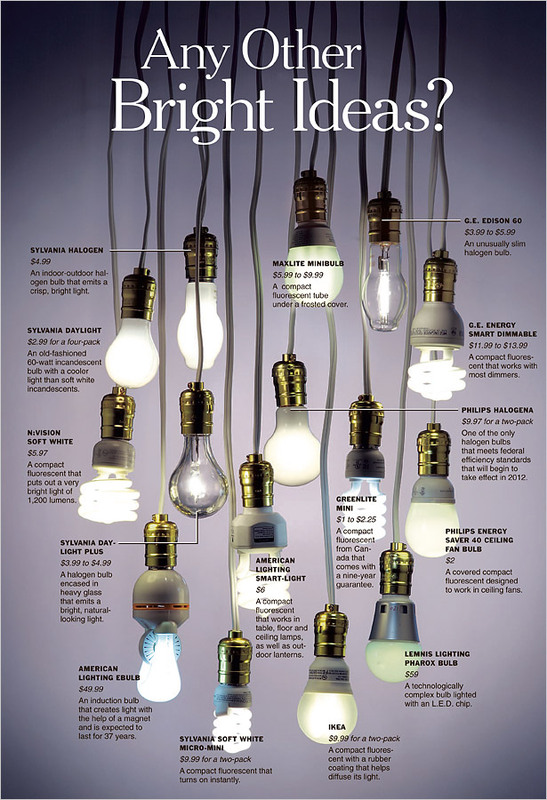 The Times put together a superb illus, hi res here, with a gaggle of assorted bulbs hanging on bare sockets. The story also had an ambitious chart. The Times science writer Andrew C. Revkin provides an intriguing back story to the published piece on his Dot Earth blog. The package thus provides a revealing profile of collegial cooperation in the evolution of a newspaper story.